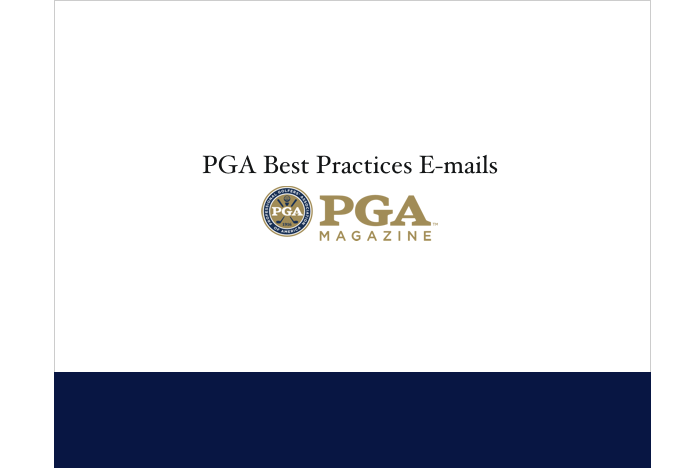 Each week, up to six e-mails are sent to targeted audiences of PGA Professionals with proven strategies on ways for readers to improve their business. All Best Practice content is written by successful and influential PGA Professionals. 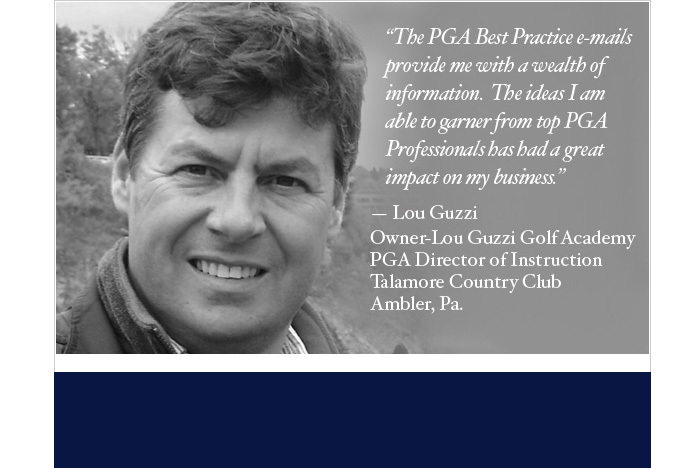 Sponsored Weekly e-mails to the following recipients per week: Teaching: 5,300+; Retailing: 8,700+; Travel: 9,900+; Women & Golf: 9,200+; Tournament & Outings: 12,900+ and Player Development: 25,600+. 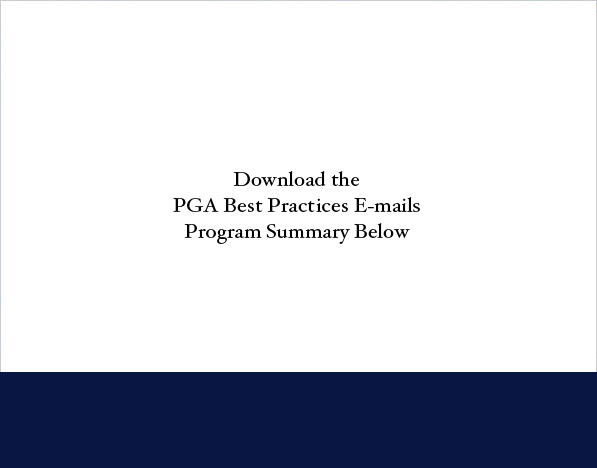 62% of all PGA head professionals/Directors of Golf/GMs read Best Practice e-mails; 53% of all PGA members read Best Practices and highly value the provided content; Average Open Rate is between 18% and 25%. 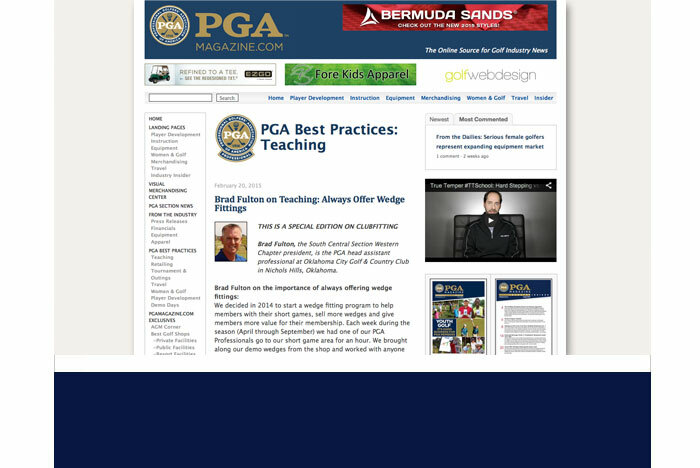 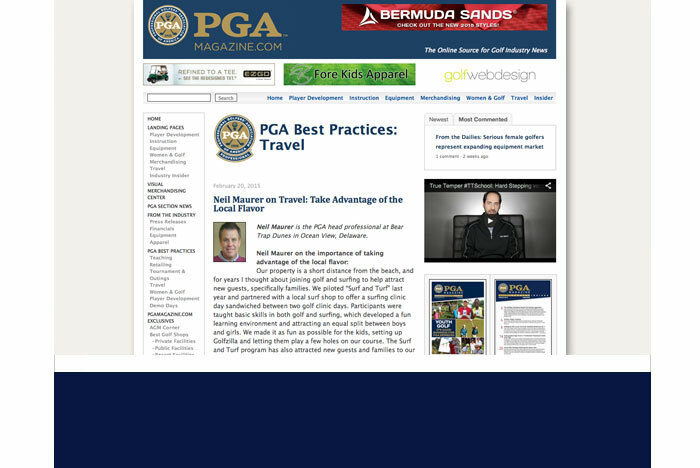 All PGA Best Practices e-mails are archived on PGAmagazine.com and accessible through PGA.org.